Jose Lopez, Jr. moved to Springfield from Jacksonville four years ago and opened Casa Real at 301 North Grand Ave. W. in the building that once housed longtime Springfield eatery Wayne’s Red Coach Inn. The popular Mexican restaurant has earned a faithful following since then. 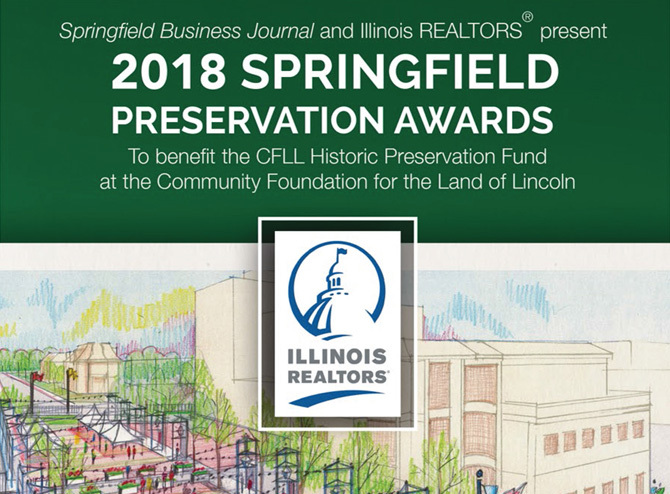 More recently, Lopez, 28, bought the building which housed former Ginger Asian Bistro restaurant at the corner of Wabash and West White Oaks Dr. to add a second Casa Real in Springfield. He began gutting the interior in February 2015, and the west side location is set to open in November. The new restaurant will have 7,200 square feet. Lopez relocated the bar, which has 18 stools plus booth seating. He added two banquet rooms for business meetings and receptions, each accommodating up to 100 guests. One banquet room has a mural by a Guadalajaran artist depicting events in Mexican history. Lopez was born in the small town of Jesus Maria in the state of Jalisco, Mexico. Guadalajara is the capitol. “It is a remote, high elevation region with many tequila distilleries,” Lopez said. The family relocated to Illinois when he was a boy and he grew up helping his father at the Los Rancheros restaurant in Jacksonville. Much of the décor has been imported from Guadalajara. A colorful blown-glass collage hangs on a wall in the main dining room, which has a fountain in the center. The center of the restaurant simulates a downtown Mexican plaza. Tall glass mosaic pottery vessels accent the dining room. A distinctive fiberglass Mexican mask hangs in the bar area. “We wanted a warm, earthy feeling with stone and brick,” Lopez said. Floors are wood and ceramic tile. An original wood wagon wheel from Mexico has been transformed into a light fixture at the entrance. The new Casa Real has a bold ochre and red stucco exterior with its signature logo – a royal white horse with a crown. On the west exterior wall is a head-turning sculpture of a white stallion stampede that Lopez found in a metal shop in Guadalajara. The clay tiles on the roof are also from Guadalajara. The outdoor patio facing Wabash is furnished with poured metal tables and chairs with a sunflower motif. Ace Signs created the restaurant’s distinctive sign, and E. L. Pruitt did the plumbing, HVAC and mechanicals. “We are doing a menu change, for both restaurants,” Lopez said. New to the menu will be moles, soups and salads. A tableside guacamole cart like the one at the North Grand location will be featured. Casa Real employs 18 workers at its original location and Lopez expects to double that number at the new restaurant. Both will be open for lunch and dinner seven days a week. 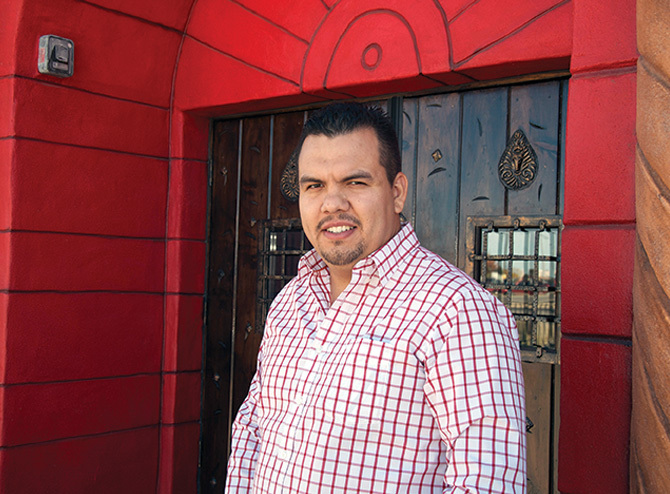 In 2013, two years after he opened Casa Real on North Grand, Lopez opened a second restaurant in Lombard, where he has relatives, making the new restaurant on Wabash his third enterprise. “The Springfield area is a great place to raise a family and to have a business,” said Lopez, who lives in Chatham with his family. “We have a loyal clientele on North Grand. Thanks to all our customers who helped me create this dream and create jobs in Springfield. It is a wonderful life experience to do this. “Springfield has a steadily growing economy, and I want to be part of it,” he said. Ginny Lee is a frequent contributor to the Springfield Business Journal as a writer and photographer.